Nadine Galle is a consultant at Metabolic and PhD Candidate at University College Dublin and Trinity College Dublin. If we let it, nature can be a powerful ally in tackling climate change. When applied to cities, an emerging concept called “nature-based solutions” (NbS) can boost resilience and help adapt to and mitigate the effects of a changing climate. The Europeans Commission defines NbS as actions inspired by, supported by, or copied from nature. 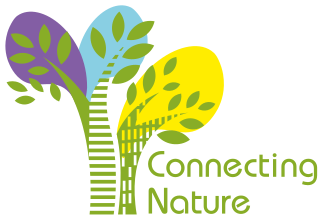 The International Union for Conservation of Nature (IUCN) explains that the concept works two-fold: learning from nature to protect, manage, and restore natural or modified ecosystems, and to provide benefits to human health, well-being, and biodiversity. Simply put, NbS take a leaf out of Mother Nature’s book. Classic examples include restoring peatlands to take up carbon, planting trees to soak up storm water, expanding riverbanks to reduce flooding, and many more examples. You could argue we’ve been looking to nature as a guiding force since the dawn of time. Now known as “best” practices, methods such as intercropping, crop rotation, and rainwater harvesting and reuse were the norm 10.000, even 250, years ago. Ancient humans didn’t call it “nature-based”, it just was. It was really only with the rise of industrialisation and urbanisation that we looked away from nature and in the blink of an eye our cities had become jungles, but of the concrete variety. These epicenters, though teeming with energy and opportunity, reveal their design faults whenever congested roadways, high urban temperatures, and a range of public health epidemics make headlines. The contribution of NbS to urban sustainability can be significant. Ecological benefits can range from enhancing the use of sustainable and bio-based materials, promoting biodiversity, and adapting to climate risks. They can also work to reduce heat stress, energy use, and flooding. Green spaces in cities are ridiculously great for people too. Several studies have shown green spaces reduce stress, boost mental health, and new research is showing it may even produce healthier babies. Economically speaking, NbS can increase property values, reduce crime, and be cost-effective in comparison to their grey (read: concrete) counterparts. The concept of NbS itself is nothing new. In fact, sometimes I feel the European Commission had hit Ctrl-F in its reports to search for “green infrastructure” and “ecological engineering” and replace it with, “nature-based solutions” in an effort to breathe new life into their policies. I kid, of course, but as urban populations grow, the societal and environmental challenges facing cities have become even more apparent. In this new era of sustainable urban development, there seemed to be a need for a new term. But the only new thing about NbS is the inclusion of the term, ‘solution’, while its predecessors (such as green infrastructure, biomimetic design, amongst others) have always felt more neutral. NbS dares to explicitly recognise that there is a problem that needs solving, and fast. In the past five years, NbS have burst on to the scene, making appearances in European policy papers, city strategies, and municipality pilot projects. Now, mayors, urban planners, and most importantly, citizens, are looking back to nature and exploring how to best harness its power in an effective way. The term is still in its infancy, and as such exact definitions of NbS diverge. Everyone can agree, however, that NbS should focus on co-creating positive societal outcomes through which nature is involved. Implementing NbS is not about going back in time, but rather, moving forward with wisdom from the past firmly in hand. Nadine Galle is a consultant at Metabolic and PhD Candidate at University College Dublin and Trinity College Dublin. She is inspired by nature to transform cities through circular economy to build resilient, thriving, and happy communities for millions of people.